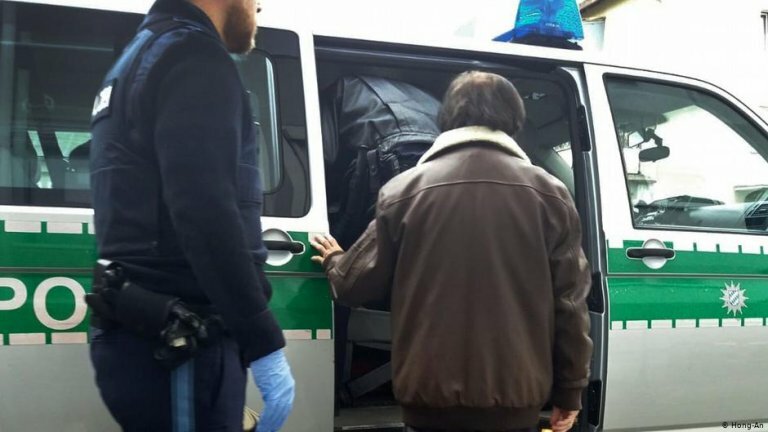 Last week, authorities in the Bavarian city of Nuremberg deported Vietnamese dissident and Nobel Prize-nominated writer Nguyen Quang Hong Nhan together with his wife. The activist, who spent nearly 20 years in a Vietnam prison for spreading "propaganda against the socialist state," applied for asylum in Nuremberg in 2015. Germany's Office for Migration and Refugees (BAMF), however, rejected their application and denied subsequent appeals. After landing in the Vietnamese capital, Hanoi, Nhan was immediately interrogated for 14 hours, reported Alexander Thal of Bavaria's Refugee Council. Thal said the dissident "must be brought back to Germany at once," adding that his endless questioning by Vietnamese police proves Nhan should never have been deported in the first place. Nhan remains free for the moment, according to this lawyer, who told broadcaster Bayerischer Rundfunk that Nhan's asylum application had been rejected because his client "was not in danger," according to authorities. BAMF has not commented on its decision to deport Nhan and his wife, or why Nhan's poor health wasn't taken into account —the 65-year-old recently suffered a stroke. It did, however, say it would revisit the case. Many German politicians and associations, meanwhile, have been fiercely critical of the decision to deport the couple. Gyde Jensen, who heads the German parliament's council on human rights and humanitarian assistance, told DW that "the decision by Bavaria to once again carry out a questionable deportation demonstrates the incompetence of state authorities." Jensen, a member of Germany's business-friendly FDP party, accuses Bavarian authorities of "repeatedly deporting individuals to counties where they face persecution." The federal government, meanwhile, has said it will now closely scrutinize the case. The German branch of PEN International has also criticized the dissident's deportation. In an open letter, Ralf Nestmeyer, the vice president of the writer's association, called the move "incomprehensible in light of Nhan's poor health" and warned that the dissident would be persecuted because he is deemed an "enemy of the people" in Vietnam. "How can you deport a writer, whose very existence depends on the freedom of expression, to a country known for repression and censorship?" Social Democrats and Greens in Nuremberg's municipal government have expressed outrage at the incident. German left-wing daily taz, meanwhile, has reported that Bavaria's Refugee Council has demanded that Nhan and his wife be allowed to return to Germany. A Vietnamese national based in Bavaria has also launched a petition to help bring the couple back to Europe. PEN's German branch has called on Bavarian Interior Minster Joachim Herrmann and BAMF head Hans-Eckhard Sommer to overturn the decision and return Nhan and his wife to Germany. Herrmann, however, has said the decision does not fall within his remit. His spokesperson told DW that the ministry acknowledges the political sensitivity of the case, but said only Germany's Foreign Ministry and BAMF could decide to grant the couple asylum. The Foreign Ministry, in turn, has stated it does not know whether the dissident is presently under house arrest or how well he is being treated in Vietnam. The ministry added that it is unable to provide assistance abroad, as Nhan and his wife are not German citizens. Even so, a spokesperson said it would closely monitor the case. 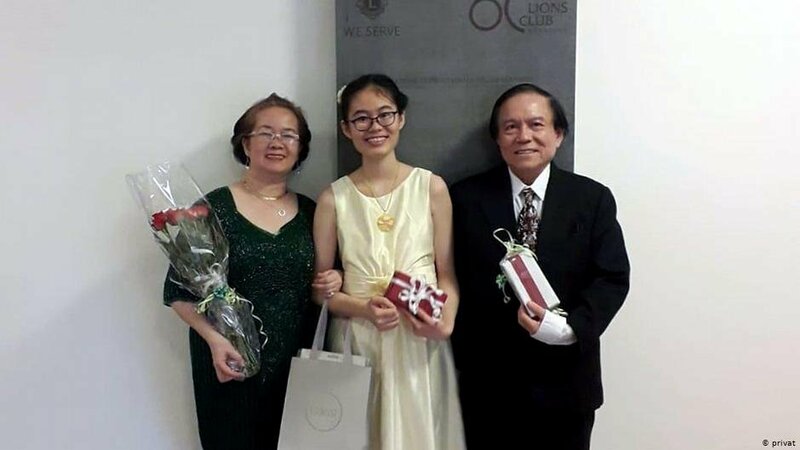 Human rights organizations have vowed to help the couple's 19-year-old daughter, Nguyen Quang Hong An, who remains in Germany and studies piano in Nuremberg. It was due to her talent that the family was able to come to Europe in 2015 for a music competition, where they subsequently applied for asylum. An could also face deportation as she, like her parents, was never granted asylum, Gyde Jensen told DW. Apparently, she was able to remain only because she did not have a valid Vietnamese passport. The city of Nuremberg, however, has said she must not "expect deportation any time soon."